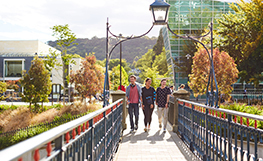 Are you a future student thinking about applying to study at Otago? The University of Otago is New Zealand’s first university and the first choice for more than 20,000 students. After 150 years, we are still leading the way when it comes to world-class teaching and an exceptional student lifestyle – the two core elements that set us apart, and the reason students from across the country and around the world choose Otago for their tertiary education.